Where are the best safaris in Africa? Undoubtedly one of the best known and magnificent parks in Africa, the park boasts prolific wildlife, particularly game animals, and is known for its sheer vastness. The migration of millions of wild animals including zebras occurs here every year. The national park was established in 1952 and is standing tall ever since. The biological diversity of the national park is high as it is home to some of nature’s most spectacular species, including at least four globally threatened and endangered animals, including the cheetah, black rhinoceros, wild dog, and the elephant. The forest reserve is home to roughly half of the world’s population of mountain gorillas so if you want to witness the gentle giants up close, pack your bags and head over to Uganda. The area is surrounded by theatrical landscape and glorious waterfalls shrouded in mists. Besides the gorillas, you will also find chimpanzees and other mammals. Masai Mara National Reserve is Kenya’s most popular wildlife park. The reserve was established in 1961 to protect wild animals from the wrath of hunters. The area is abundant with beautiful sceneries and exotic animals and you will have a great time down there. The reserve is located in southwestern Kenya, situated on the border with Tanzania. The Mara River runs through the park and is a spectacular sight as it is home to plenty of crocodiles and hippos. As the park does not have any fences, you can view the animals up close. Kruger National Park is one of Africa’s oldest established wildlife reserves. The national park offers the most brilliant safari experiences in Africa. The reserve boasts a large variety of wildlife including crocodiles, giraffes, cheetahs and more. The reserve is also one of the best-maintained parks in Africa and is a favorite destination among tourists. The roads are all well maintained hence tourists need not rent a vehicle. In addition, wheelchairs and proper facilities are accessible for those with mobility impairments. The park offers a range of accommodation, options including tents, caravans, cottages and rest camps. The Okavango Delta situated in Botswana is one of the most magnificent wilderness areas on earth, hosting up to 122 species of mammals and over 440 species of birds. The Delta is made up from drylands and wetlands with beautiful lagoons and luscious forests to enjoy. The areas offer unique safari experiences from all the other national parks as tourists can witness wildlife from both water and land, sometimes from the comfort a traditional canoe. The Delta hosts a number of lodges and luxury camps which are a favorite among tourists. You might be confused, given the variety of options for safaris in Africa. However, the leader of the pack by far is the Serengeti National Park, and it is just one of several nature parks in Tanzania. 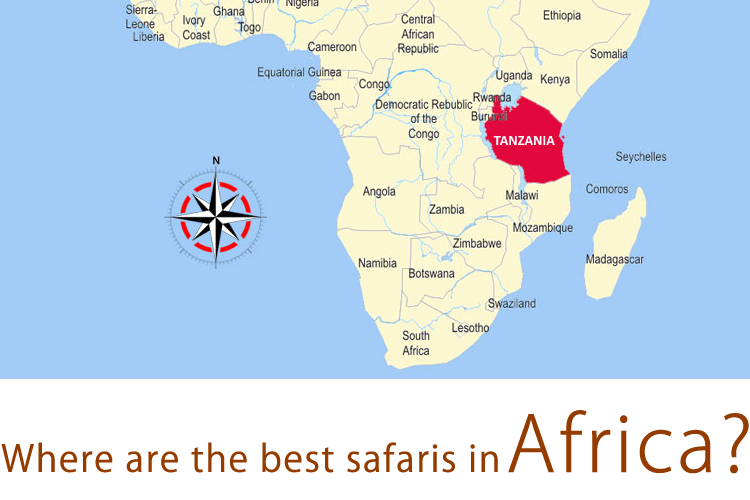 So, the bottom line is if you want to head out on a safari, Tanzania is the ideal destination.